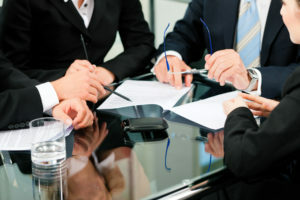 Mediation is one possible outcome of your DCP&P case during which the parties and their attorneys meet without the judge present, off the record in an attempt to reach a settlement. The DYFS defense lawyers at the Tormey Law Firm LLC are ready and able to assist you during a mediation with the Division of Child Protection and Permanency (known as “DCP&P”) in New Jersey. Protect your rights, your family, and your future: contact our experienced DCPP defense lawyers today for immediate assistance at (908)-356-6900. Brent DiMarco, one of our attorneys, has literally handled hundreds of child abuse and neglect investigations and court matters during his career. We represent clients throughout Morris County NJ on DYFS matters including in Madison, Mendham, Harding, and Jefferson Twp. The initial consultation is always provided free of charge. Here is an example of a DCP&P matter we successfully handled for a client in Morris County Superior Court in Morristown, NJ. Although the Division of Child Protection and Permanency is charged with a legal duty to attempt to assist and work with families, technically once DCP&P files a protective services complaint for custody or care and supervision, or when DCP&P files a complaint for guardianship, the Division is the plaintiff and the parents are defendants in a lawsuit: the Division of Child Protection and Permanency versus the Parents. Whether you are involved in protective services litigation or guardianship litigation, the Court will ultimately decide the outcome of your case. The proceedings will occur in a courtroom and the hearing will be recorded, permanently. However, one possible alternative to the adversarial environment of the courtroom is family court mediation during which the parties and their attorneys meet without the judge present, off the record. During a mediation, a neutral third-party mediator will lead a confidential meeting with DCP&P, the Deputy Attorney General, the child’s Law Guardian, the parents, the parents’ defense attorneys, and possibly the child’s resource or foster parents. Mediation can be used to discuss any and all aspects of guardianship, custody or care and supervision cases but, usually, mediation is geared towards resolving cases that have been open for a while, without having to go to trial. For example, the parties may discuss the parameters for a safe reunification or explore whether or not there are any alternatives to termination of parental rights. Regardless of the topics discussed, what happens in mediation stays in mediation – the mediation will take place in a private room and will not be tape-recorded. The only exceptions to the confidentiality of mediation are that the mediator must report if there is a new allegation of child abuse or neglect or if any participant in mediation threatens another participant. In the event the parties reach an agreement, the mediator will prepare a mediated consent order for the parties’ attorneys to sign. But, if there is no agreement, then all that will be reported to the Judge is that the mediation did not resolve the case. In protective services cases, topics of mediation can range from what exactly a parent needs to accomplish in order for the child to return from DCP&P’s custody, what additional reasonable efforts the parent may be requesting from the Division in order to achieve or maintain stability, or the parents can mediate which parent will maintain primary physical custody of the child once the Division has deemed both parents to be safe and appropriate parents. In guardianship cases, mediation will generally focus on whether or not the case can be resolved without going to termination of parental rights trial whether by working towards a different permanency plan such as Kinship Legal Guardianship or via a surrender of parental rights to the child’s resource parent. In any mediation, however, one theme will take precedence: the best interests of the child. Mediation can be a useful means of resolving a case without the involvement of a judge. But, as with all DCP&P proceedings, although mediation will not take place in a courtroom, a Deputy Attorney General will represent DCP&P, and a Law Guardian will represent the child. Both the Deputy Attorney General and the Law Guardian will be fully familiar with the laws that control DCP&P cases. If you are involved in DCP&P litigation and your case is scheduled for mediation, you should consider being represented by a knowledgeable DCP&P attorney who is familiar with the case law, statutes, and Court Rules that apply to DCP&P family court matters. Contact our offices anytime for immediate assistance at (908)-356-6900. Should I Comply with DCPP’s Demands? What Happens During a DCPP Interview in New Jersey? Excellent Attorney! You will not be dissapointed…. Get in touch we are here. we want to help. Our New Jersey DCPP defense attorneys represent clients involved with child protection proceedings in Bergen, Essex, Morris, Passaic, Hudson, Middlesex, Somerset, Camden, Warren, Hunterdon, Monmouth, Ocean, Burlington, Sussex, Mercer, and across New Jersey.